Are You Ready To ROCK WITH US???!!! In addition to songs originally recorded by Deep Purple, THE PURPLE TOUR (LIVE) also features performances of killer Whitesnake tracks like “Fool For Your Loving” from Slip Of The Tongue (1990), “Love Ain’t No Stranger” from Slide It In (1984), plus “Still Of The Night,” “Bad Boys,” “Is This Love” and the #1 smash “Here I Go Again” from Whitesnake (1987). 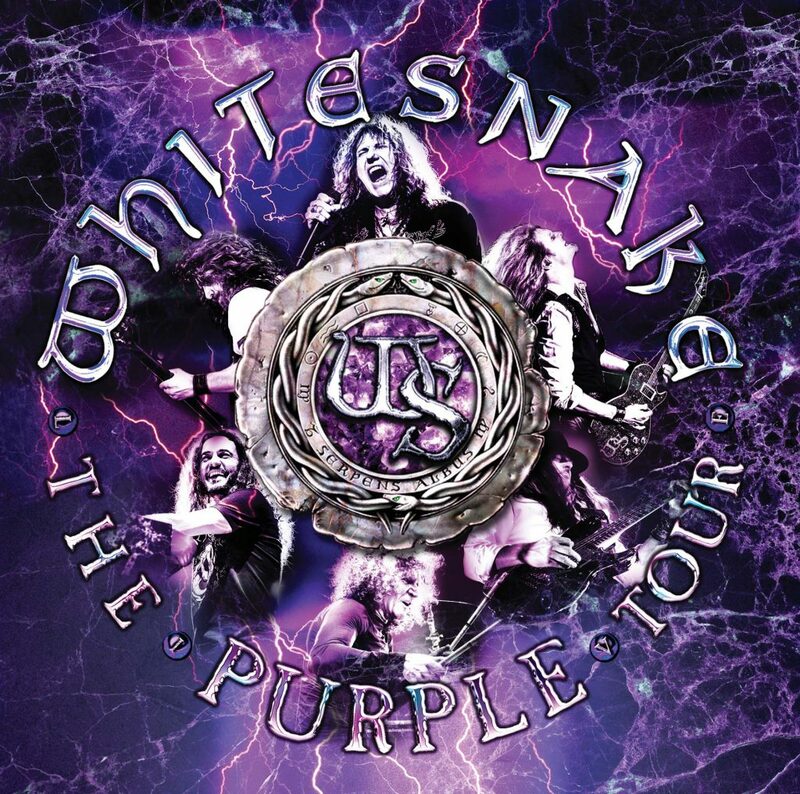 Whitesnake have released some of the best live albums ever and “The Purple Tour” is certainly no different. It is way up there with the very best of them and is testament to how mesmerizing and thunderous the Whitesnake experience is in a live setting. Awesome news!!!!!!! And going to be released on my birthday!!!!!! Awesome! I don’t understand, can I or can’t I pre-order the live DVD yet? The links are being worked out between Warner and Amazon, and there was a mess up which wasn’t caught until we’d already posted here and Facebook/Twitter. The links will be updated just as soon as we get them! It’s advertised as The Purple Tour. Yet out of 13 tracks, there’s only 5 Purple tracks. I have a Purple album. Then I made a movie. Will you be touring any time soon, please ? No Lady Double Dealer and Stormbringer? Those songs sounded f’n righteous when they were played in Tacoma! They were filming for a DVD in Birmingham UK in Dec 2015 with Def Leppard. As William Lee points out, a purple tour, yet just 5 tracks from the purple era. So what’s with Coming Home? It’s my favorite, and the best track on the Purple Album in my opinion, yet not played wasn’t played live so not on the live album. It just doesn’t make sense to me that Coning Home is ignored. Has the release date been put back to next year now? Oh my God, I need to have this masterpiece. Noticed no Ontario Canada dates…please come back…CHEERS !!!!!!!!!!! Has finally arrived and excellent stuff it is. I didn’t expect the Forever tour to be topped but the Purple tour did so with an emphasis on songs without the usual three solo spots, unnecessary anyway when all musicians have the opportunity to shine within the songs themselves. An excellent recollection of what I saw at Wembley and Cardiff. Well done to all. Look forward to seeing what the new album and tour brings. Cheers. Have you ever wondered why Deep Purple haven’t made a Whitesnake tour ? Pingback: David Coverdale says Whitesnake's "The Purple Tour (Live)" concert video is "a solid piece of work"